Grandma Moon Speaks: How many Audio Channels does the Human Ear need? Posted bySareesh Sudhakaran	 January 19, 2013 January 11, 2019 1 Comment on Grandma Moon Speaks: How many Audio Channels does the Human Ear need? When a lion roars, it’s only one lion roaring. When your friend speaks, the sound is coming from just one speaker. Sounds are generated in nature by every change in pressure, as we have seen in What Influences Sound. Unless there is an echo or reverb involved, any particular sound certainly only comes from one direction. Imagine a singer on stage, singing. You are listening amongst an audience. The Singer changes into an audio speaker, reproducing the song. You are sitting in the same place, listening. The speaker is brought to your living room. Same song is playing. Your location has changed. The speaker is replaced by the singer. She is in your living room now. Both of you are transported to a beach somewhere. Question: Will the song sound the same in all five scenarios? The reality is, no, it will sound different every time. Modulation of the sound, the space in which the sound has to move, the objects the sound has to interact with, and the position and distance between the source and the listener will all change the song. 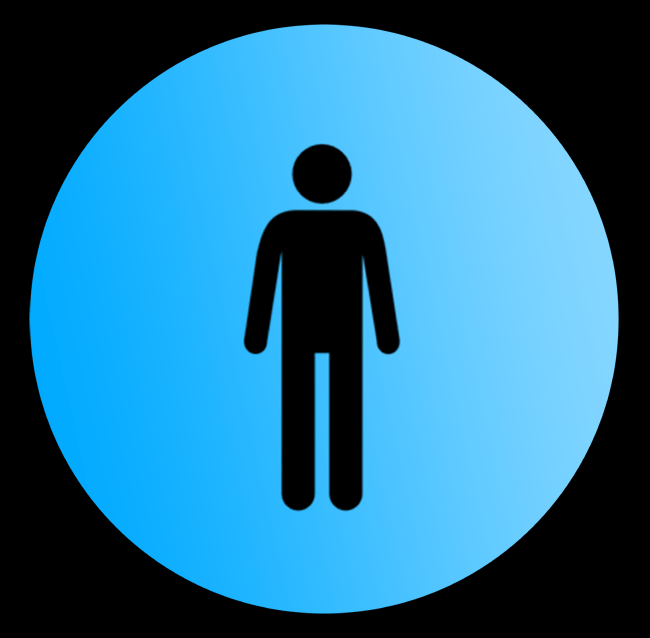 Just as a singer can move across the stage while singing, the audio speaker (if one assumes its role of replacing the singer) must also be capable of moving. Since sound comes from infinite sources all around us, the number of channels required by the human ear is infinite. Neither of these are practical, even though one company has attempted it. 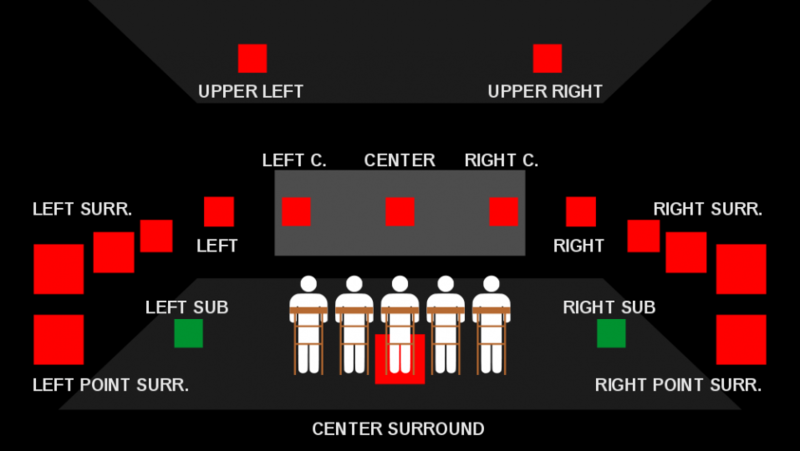 Ambisonics is one such system, and it requires a minimum of four speakers to represent North, South, East and West. The key property of the Ambisonics system is that the speakers are isotropic, which means all the speakers are designed to the same specifications. The assumption is that, just as in real life, sound can come from anywhere, and its importance cannot be prejudged. The key thing to note is that each speaker is treated differently. They are designed for a specific purpose only. Subwoofers are designed to perform in low frequencies (bass, 20–200 Hz). The big assumption is that the front speakers are the most important, and this distinction is based on the traditional placement of speakers in a stage, theater, cinema or television set. The most widespread surround sound system is 5.1, which is actually 5+1 = 6 speakers. Why don’t they call it 6 system? It’s to distinguish the subwoofer from the others as being limited in range (because its frequency response is limited to the low range only). The next step up is 7.1, and the current benchmark is 10.2 (twice as good as 5.1) and its 12.2 variant. Only 7.1 and 5.1 are standardized, and anything above does not have enough representation in the market place, with either media or systems. The major problem with any surround sound system above 7.1 is the challenge of rigging it in an actual space. Every room or hall is different, and it is tough to find the right locations for 8 speakers, let alone 12 or 14! The second big problem is the mammoth task of actually mixing to all these channels. As you can see, creating a periphonic representation of sound is almost impossible. Even if one were to achieve it, the practical utility of such a tool is questionable. Why? Because something similar exists already, and it has proven to be more than satisfactory for the greatest number of humans. What is it? It’s a tiny system that has been around long enough, and only uses two speakers. We call it Stereo. The number of channels required by the human ear is infinite. A system that tries to represent 360 degree space is a periphonic system. A surround sound system is one in which speakers are segmented based on their position and utility. Only 5.1 and 7.1 systems have been standardized for the masses. 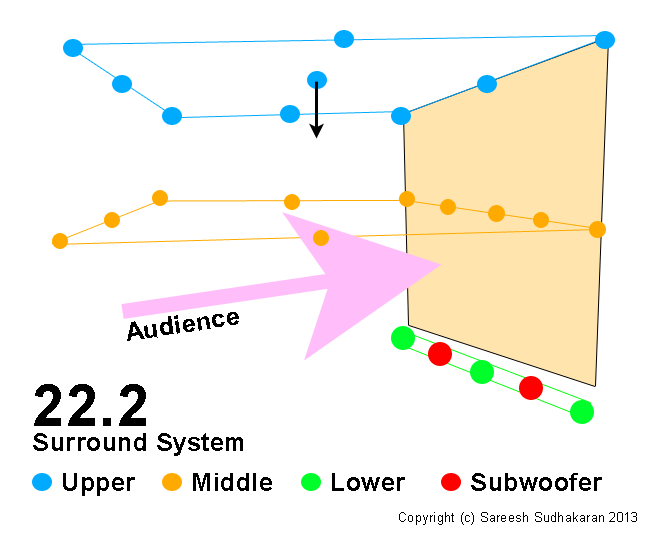 The highest possible surround system tested is the 22.2 system.